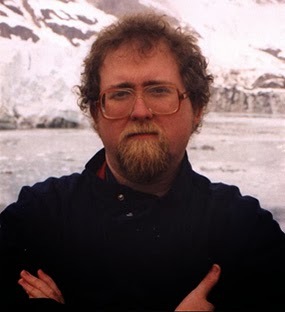 Science fiction and fantasy novelist and game designer Aaron Allston sadly passed away yesterday at the age of 53. He was attending VisionCon in Springfield, Missouri. It is reported that he suffered from heart failure, possibly a result of complications he had been suffering following a heart attack in 2009. Allston started his career in the early 1980s, working on Space Gamer magazine and its spin-off, Fantasy Gamer. In 1983 he began his career as a game designer with Autoduel Champions. In the late 1980s he started writing his own novels, starting with Web of Danger (1988). He became well-known for his work on the 2nd Edition of Advanced Dungeons and Dragons, authoring both The Complete Fighter's Handbook (1989) and the Rules Cyclopedia (1991), the former of which led to a long-running series of classic expansions to the base game. He also worked on material set in the Mystara (aka The Known World) campaign setting. In 1998 Allston took over from Michael Stackpole as author of the X-Wing series of Star Wars novels. Allston was recommended by Stackpole and wrote five novels in the series. His work quickly became popular with Star Wars fans and he went on to write eight further novels in the setting as well. His most recent novels were Fate of the Jedi: Conviction (2011) and X-Wing: Mercy Kill (2012). Allston liked to say that he was everybody's third-favourite Star Wars author: others might alternate the top spots, but he'd always be up there in fan listings. Condolences to his family. Allston was a good writer in the Star Wars setting and his D&D material was very strong. Looking though the list of stuff he wrote, I'm surprised how many of his sourcebooks my group used to use without realising it. He will be missed. HBO have unveiled their official poster for Season 4 of Game of Thrones. 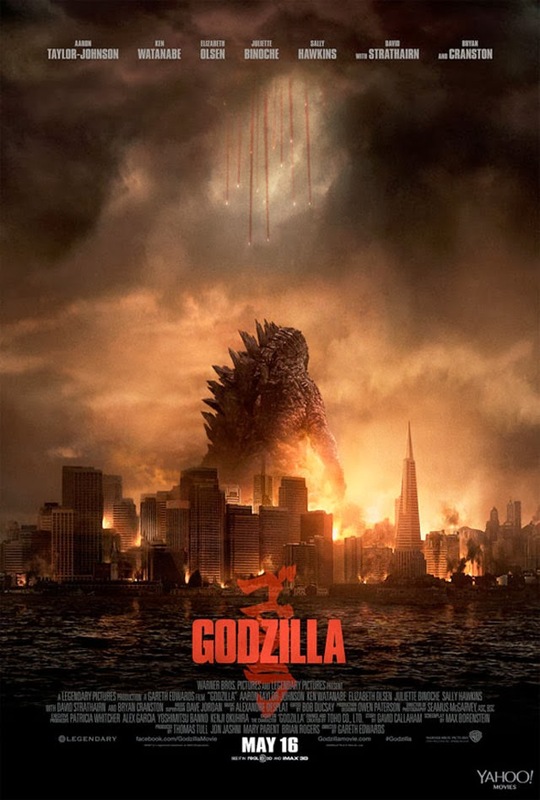 This is the poster that will predominantly be used to market the season, and will likely be the box art for the DVD and Blu-Ray releases next year as well. This looks like the cover to a heavy metal album and is a lot better than the rather minimalist poster they used last year. HBO have also released eighteen character-focused posters, including the Lannister ones revealed earlier this week. These can all be seen at Winter is Coming. HBO has unveiled its first set of posters for Season 4 of Game of Thrones. 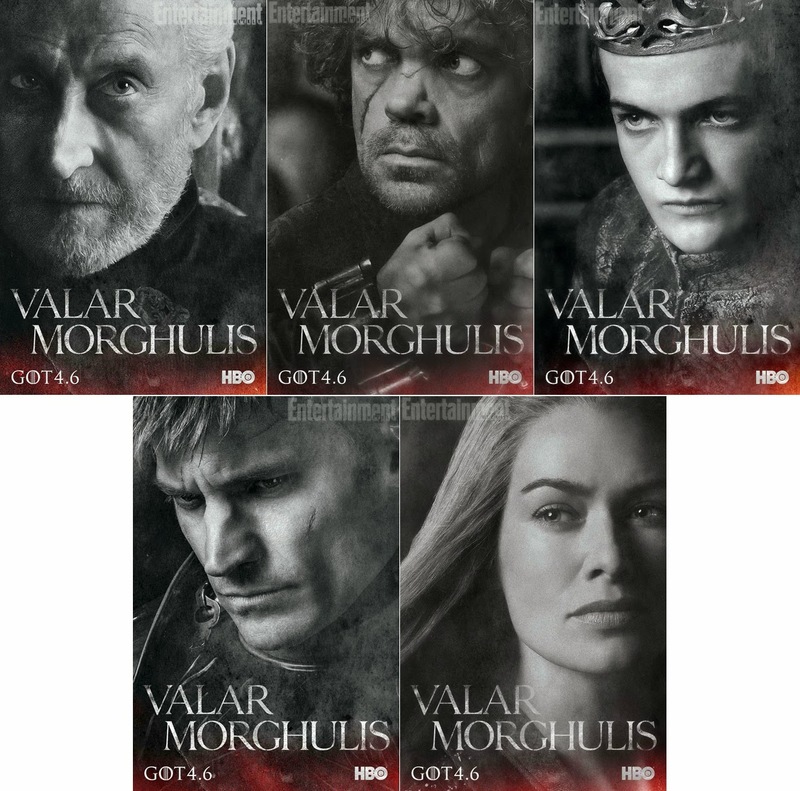 These depict the prominent members of the Lannister family: Charles Dance as Tywin, Peter Dinklage as Tyrion, Jack Gleeson as Joffrey, Nikolaj Coster-Waldau as Jaime and Lena Headey as Cersei. 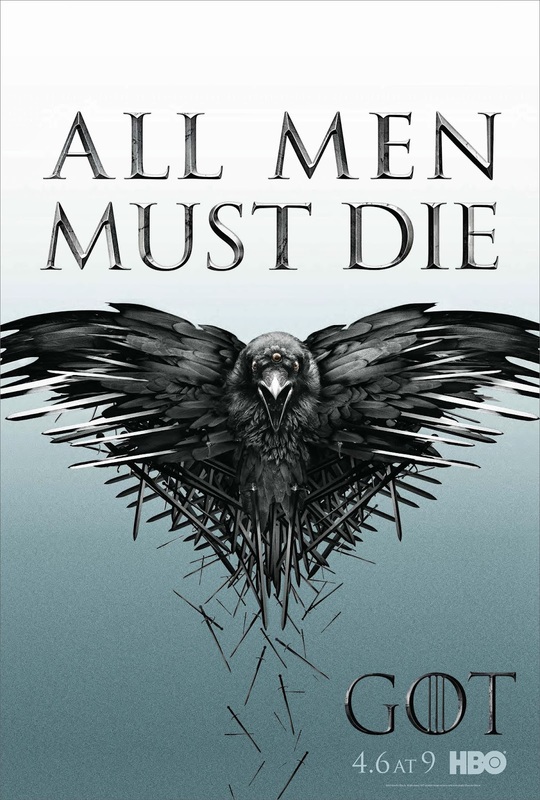 Valar Morghulis of course means, "All Men Must Die," in High Valyrian. Game of Thrones returns on 6 April in the US and the following day in the UK. I was unimpressed when I first heard about this, but each trailer they release is more and more impressive. It's also good that they're acknowledging the original Japanese films. The film will be released on 16 May. A fan's put together a new trailer for Season 4 of Game of Thrones, drawing on the already-released trailers and preview material. The music is New Zealand singer Lorde's cover of Tears For Fears's 'Everybody Wants to Rule the World'. Season 4 of Game of Thrones starts airing on Sunday 6 April in the United States on HBO and in the UK the following evening on Sky Atlantic. Actor, writer, director, producer and comedian Harold Ramis has passed away at the age of 69. Born in Chicago, Ramis is best-known visually for his performance as Egon Spengler on the two Ghostbusters movies, where he starred alongside Bill Murray and Dan Aykroyd. He reprised the role for what would prove to be his final acting appearance, as a voice-over for the Ghostbusters video game in 2009. He also co-wrote both films. Previous to that success, he'd appeared on the successful 1981 comedy movie Stripes and on the Canadian sketch show Second City. However, Ramis will likely be remembered more for his impressive directing resume, which includes Caddyshack, National Lampoon's Vacation, Multiplicity, Analyze This, episodes of the American version of The Office and, of course, the classic Groundhog Day. 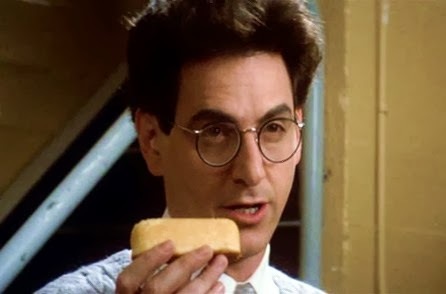 Ramis was expected to reprise his role as Egon, possibly just for a cameo, for the long-in-development Ghostbusters III. Following his passing, it is even more doubtful if the project will ever be made (at least with the involvement of any the original cast). This is sad news. Like anyone else who grew up in the 1980s, Ghostbusters and its sequel were a huge part of my childhood, whilst Groundhog Day remains a classic take on a difficult-to-make-work science fiction premise. He will be missed. Update: Ghostbusters fans in New York have been leaving tributes at the 8th Hook and Ladder Firehouse on North More Street, Manhattan. This was where the firehouse exterior scenes for both movies were filmed. 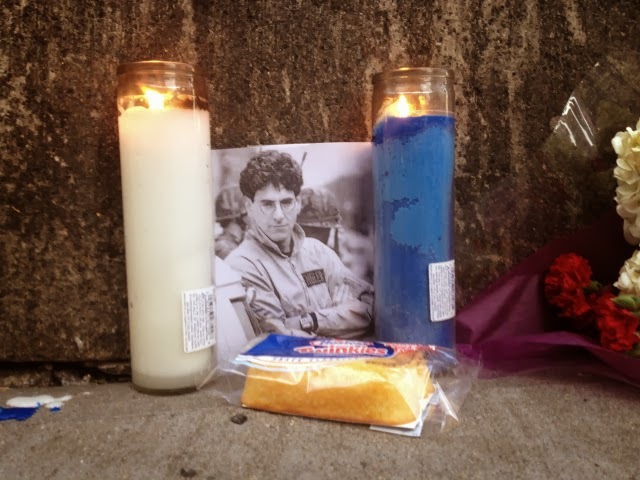 Inevitably, the tributes include Twinkies. As I'm making my way through Lois McMaster Bujold's Vorkosigan Saga, I've run afoul a few times of fact that the chronological, publication and reading orders of the series seem to all differ from one another. So I thought it might be useful to put up the differing lists here to help others planning to read the books. 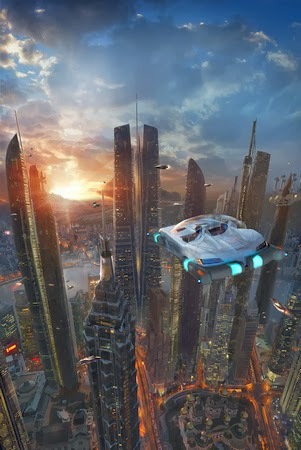 The cover art for Captain Vorpatril's Alliance, the most recent-published novel in the saga. The chronological order is fairly straightforward, though not necessarily the best reading order (that would be omnibus order, posted below). This is the easiest, cheapest and best-recommended way of reading the series, a couple of oddities aside. 'Labyrinth' appears twice for some reason and Falling Free (the earliest-set novel) is thrown rather randomly into the middle of the series, but beyond that it's fairly straightforward. It should be noted that Captain Vorpatril's Alliance, Cryoburn and Gentleman Jole and the Red Queen are only available as single novels at the moment, although it is assumed that at some point in the future Baen will collect them together. Memory will apparently remain a stand-alone novel due to its position as the biggest gamechanger in the series to date and the thematic awkwardness of combining it with other works. Publication order sort-of works - it's the order that Bujold wrote the stories in, after all - but she jumps back and forth in Miles's life fairly randomly. Those who prefer a chronological progression are directed to the reading order by omnibus, but publication order works for those who prefer to read the books in - more or less (Barrayar was half-written as the continuation of Shards of Honour, abandoned for several years, and then completed) - the order the author wrote them. 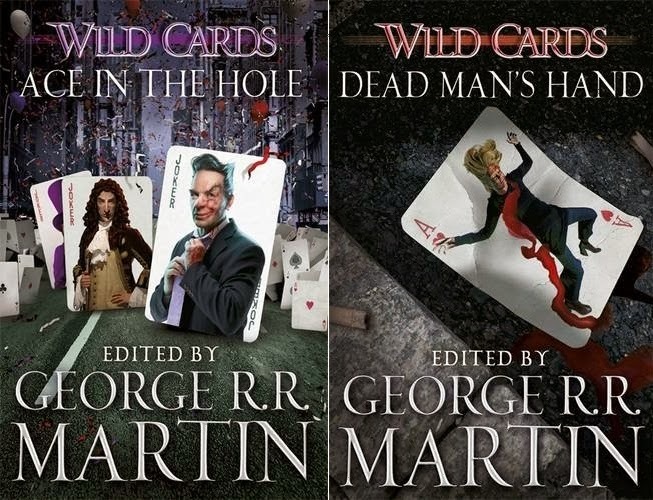 I previously posted the covers for the Gollancz UK reprints of the fourth and fifth Wild Cards books, but Gollancz have now unveiled (via Amazon) the new covers for the sixth and seventh books. 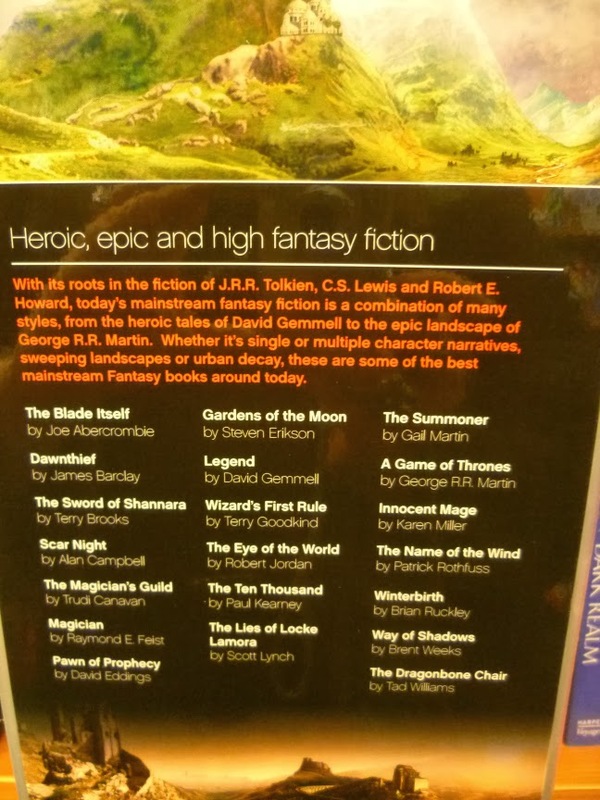 Fantasy author Foz Meadows recently published this article, in which she challenged the failure of Waterstones (the UK's only remaining nationwide chain of bookstores) to recognise female fantasy authors - or SF authors for that matter - in their 2012 literature on the SFF genre. No less than 113 authors are listed in the booklet but only nine of them are female, which is rather an eyebrow-raising imbalance. Juliet E. McKenna expands on this by claiming to have seen lots of "If you like George R.R. Martin, why not try..."-style lists in bookshops, almost invariably consisting solely of male authors. Apparently, when she challenged one bookshop on why this was so, she was told "Women don't write epic fantasy." This is blatantly untrue, and it was rather idiotic of them to say so to an author with no less than fifteen epic fantasy novels under her belt. Indeed, when people have asked me what authors they should be reading after getting hooked on the likes of Martin or Abercrombie or Lynch, I often surprise myself with how many of the recommendations that come to mind are women. 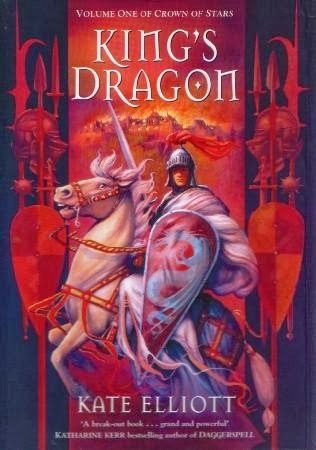 Robin Hobb, aka Megan Lindholm (both pen-names of Margaret Astrid Lindholm Ogden), writes trilogies featuring epic battles and magical creatures (including dragons), but is resolutely focused on her characters. She enjoys writing characters who have their own motivations which make sense to them, no matter how they are painted as heroes or villains by others. Martin is a huge fan, as is Steven Erikson, and she has enjoyed a lengthy and prolific career. In fact, Martin has cited Hobb's use of animal magic as one of several influences on the warging in A Song of Ice and Fire. Her best-known works are the five sub-series set in the Realm of the Elderlings, comprising the Farseer, Liveship Traders and Tawny Man trilogies and the Rain Wild Chronicles quartet, plus a forthcoming series currently planned to be a trilogy, The Fitz and the Fool. 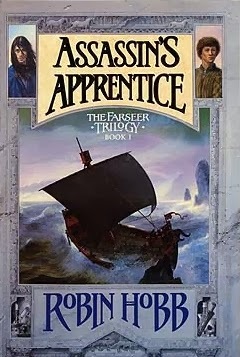 Hobb broke away from this series to write an unrelated work, The Soldier Son Trilogy, which was not as well-received. Writing under the pen name Megan Lindholm, she also wrote ten earlier books, mostly aimed at younger readers. Kate Elliott is the pen-name of Alis A. Ramussen, under which name she published a fantasy, The Labyrinth Gate and an SF series, The Highroad Trilogy. After apparently disappointing early sales, she changed her writing name and returned with the SF Jaran series in the early 1990s. 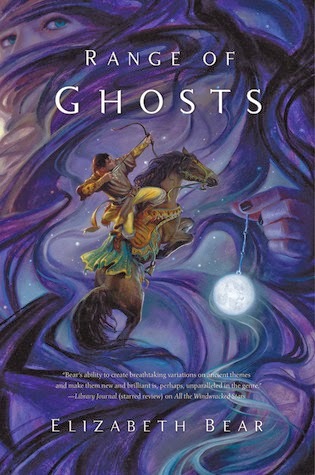 This was more successful and she has followed it up with a series of epic fantasies, including her more recent work, the Crossroads and Spiritwalker series. However, Elliott's largest and best-known series is Crown of Stars, a seven-volume epic published between 1997 and 2006. If Martin's Song of Ice and Fire depicts a world set at the tail end of the medieval period, with armies in the tens of thousands, shining knights and full plate armour, Crown of Stars is set at the opposite end, when any army larger than a thousand is huge and kings tour their countries on endless processions rather than being tied to single capitals. Heavily influenced by real medieval European history (to the point where Crown of Stars can also be called an alternate history based on 9th and 10th Century Germany and Eastern Europe), Elliott weaves a large number of storylines focusing on themes such as war, chivalry religion and gender issues without dialling back (though also not over-emphasising) on the brutality of the period. Perhaps slightly overlong, but also genuinely thought-provoking. Crossroads, which will eventually encompass at least seven novels set across three generations, is also interesting. Set in a world not based explicitly on any period of real history, it features a number of carefully-created original cultures clashing for control of a land called the Hundred. The original Crossroads trilogy will be followed by a new book later this year, The Black Wolves, set some years later. Elizabeth Bear is an author I'm only recently acquainted with, thanks to her superb Eternal Sky Trilogy. However, she has published many novels in several different subgenres (including SF and urban fantasy), including her acclaimed Iskryne series, co-written with Sarah Monette. The Eternal Sky trilogy is an epic fantasy set on an alternate version of the central Asian steppes, with a race of nomadic tribesmen who recall George R.R. Martin's Dothraki. However, whilst the Dothraki are (partly) based on the Asian nomads at the very start of their expansion and rise to power, Bear's series deals with a far more sophisticated and subtle people, depicted as intelligent warriors and capable engineers rather than just hordes of plunderers and rapists. It also features some intriguingly weird magic (the skies over each nation and culture are somehow different) and deliciously rich characterisation. Julie Victoria Jones hit the ground running with The Baker's Boy in 1995. Boosted by a Robert Jordan cover quote, it rapidly became one of the biggest-selling fantasy novels of the year and propelled her onto the bestseller lists. It was a rough novel, not unexpectedly for a debut, and she improved in leaps and bounds over the remainder of the Book of Words trilogy and a further stand-alone novel, The Barbed Coil. 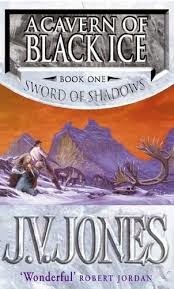 However, Jones found a different and far more sophisticated level of writing ability with her Sword of Shadows series, a decade and a half in the making and still incomplete. Sword of Shadows is a (very loose) sequel to The Book of Words and picks up the story of the daughter of the previous trilogy's hero, as well as a whole host of new characters. It is set beyond the northern mountains in a bleak subarctic wilderness, heavily influenced by Scandinavia and the Inuit tribes. 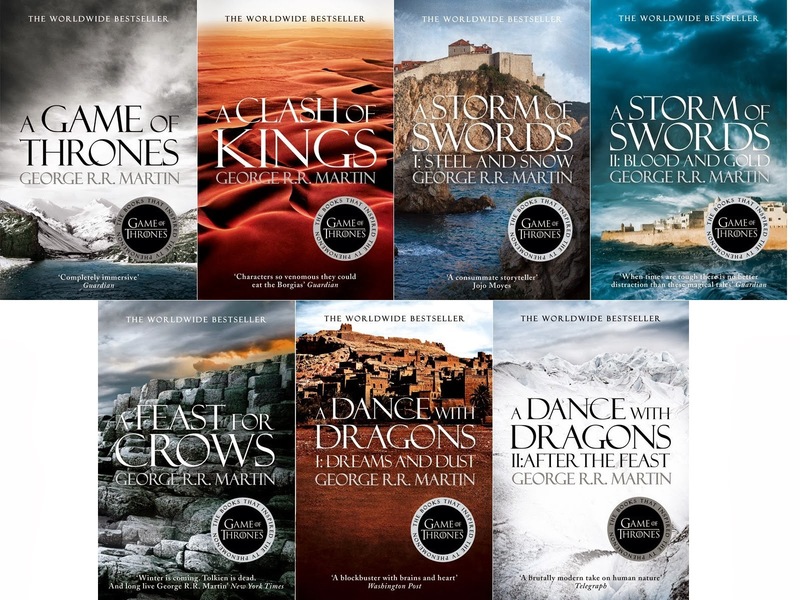 If you enjoyed those parts of A Song of Ice and Fire set beyond the Wall, this series is for you, with descriptions of snow and ice so vivid you may want to wrap up warm before reading. Unfortunately, Jones also seems to be emulating Martin's five-year gaps between volumes, but this is one of those series where the books are worth the long waits. A relative newcomer, Hurley's works are challenging, direct and different. Her first trilogy is apparently SF, but magic (based around the manipulation of different kings of bugs) is liberally used. 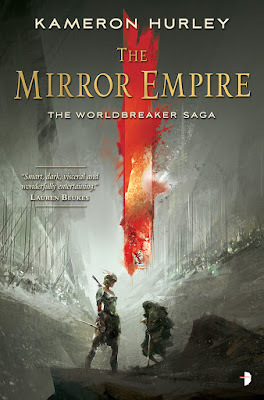 Her current series is an epic fantasy with a difference, set in a world which is being invaded by forces from its own parallel dimension, with the twist that only people whose doppelgangers are dead in the other universe can pass through. Hurley's books are complex, thought-provoking and vitally infused with life and action. Hurley is also a prolific and essayist. She won a Hugo Award for "We Have Always Fought", an essay challenging the lazy gender assumptions prevalent in epic fantasy and science fiction based on erroneous understandings of history. N.K. Jemisin is a relative newcomer, but made her mark on the genre with The Inheritance Trilogy (no, not that one) and the Dreamblood duology. The latter - which regrettably is so far all I've read - is set in a fantasised take on Egypt that completely avoids cliche: no cat-headed people fighting sphinxes, thankfully. Instead, it's a well-thought-out, intelligent take on the fantasy genre and its conventions about religion, power and gender roles, whilst also being a kick-arse adventure story set in a fantasy world refreshingly not based on Medieval Europe. Her next book, The Fifth Season, is out later this year. Juliet E. McKenna is a prominent member of the UK SFF community, noted for her role in the writing collective The Write Fantastic. She has penned (as mentioned above) fifteen fantasy novels in four series, though all set on the same world. 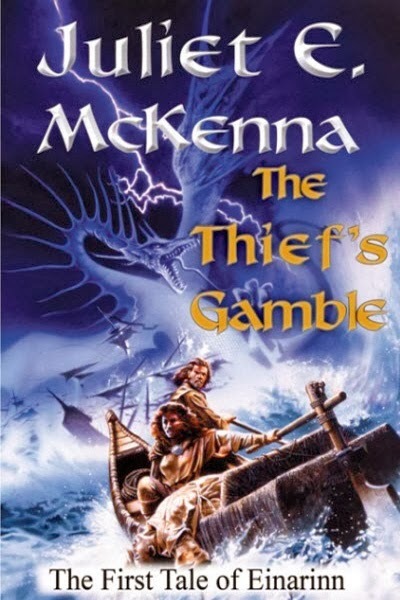 I read her debut novel, The Thief's Gamble (featuring a female thief and rogue), when it was first released and found it highly enjoyable. Unfortunately, I haven't read the rest of her books but look forward to doing so. You may have heard of her. And yes, I count her books as epic fantasy. This is only scratching the surface here, so hit me with some more epic fantasies (or, sod it, fantasy in general) written by women in the comments. ETA: When this article was originally published, it included K.J. Parker, at the time widely reported by the publishers to be female. It was later revealed that K.J. Parker is in fact comic fantasy author Tom Holt. As a result, the entry has been removed from the list and replaced by the more than deserving Kameron Hurley. Disney and Marvel have unveiled the first full trailer for Guardians of the Galaxy, their big summer Marvel Cinematic Universe film and the most 'out there' of their films to date. Set in space, Guardians will chronicle the adventures of five mismatched 'heroes' who get into conflicts with evil forces etc. The movie will be more tangentially connected to the Marvel Cinematic Universe than their other films (i.e. don't expect Iron Man to show up halfway through) but will partly set things up for Avengers: Age of Ultron, which will follow in 2015. I am not acquainted with the Guardians as a superhero team, although I did thoroughly enjoy the Rocket Raccoon solo strip in the 1980s (when it ran as the back-up strip in the Marvel UK Transformers comic), which was enough to make me want to check this out. The trailer is also pretty cool. It's good to see Marvel embracing full SF craziness for once. Take-Two Interactive has closed down the Irrational Games studio, which it owns. 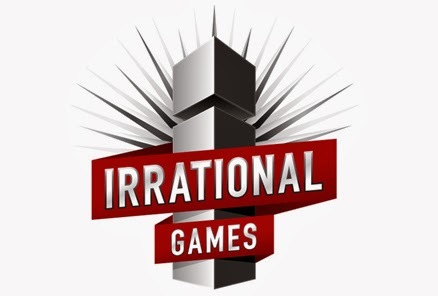 Irrational are the creators of the BioShock franchise, most recently responsible for creating and releasing BioShock Infinite and its expansions. The head of Irrational, feted game designer Ken Levine, announced the move on the company's website. The move stunned both gamers and critics, as BioShock Infinite had been both a critical and apparently a commercial success upon its release a year ago. According to Levine's announcement, the move had been taken as he wished to re-focus on narrative-driven games and needed only a small team of 15 or so people to do that. This led to speculation from the press, as the move meant making 185 people jobless. Questions were raised about whether it would have been easier to Levine to simply leave Irrational and leave the team intact for other projects (such as future BioShock games, with Take-Two confirming it is interested in pursuing the franchise with new games in the future). However, an alternative possibility is that BioShock Infinite's success was overstated. Though the game sold 3.7 million copies in its first two months on sale, that came after a development period lasting more than five years (since BioShock's release in 2007; BioShock 2 had been created by a different studio) and costing anything up to $200 million (including marketing), although that figure was later denied by Levine. In comparison, the game Skyrim from Bethesda took only about two and a half years to make, cost less than $80 million and sold 7 million copies in its first month on sale. Take-Two's biggest 2013 release, Grand Theft Auto V, has sold over 32 million copies to date and made $1 billion in just its first three days on sale. Compared to these figures (though admittedly outliers), it looks like BioShock Infinite underperformed and, given its long development time and budget, failed to turn a profit, certainly not before the end of that financial year. Regardless, this is regrettable news. Irrational were one of several companies to splinter off from the legendary Looking Glass Studios. At Looking Glass Levine worked on a series of iconic games, including System Shock and Ultima Underworld. After leaving to found Irrational in 1997, Levine continued to work on Looking Glass titles such as System Shock 2 (a co-production with Irrational) and Thief: The Dark Project. In 2002 Irrational released their first solo game, a superhero RPG called Freedom Force, which was well-reviewed and praised for its art style and humour. A sequel, Freedom Force vs. the Third Reich, followed in 2005. Irrational also released Tribes: Vengeance in 2004 and SWAT 4 in 2005, both of which were also well-received. In 2007 Irrational released BioShock, a 'spiritual successor' to System Shock 2 which focused on narrative and political themes fused to a memorable art style and an emphasis on combat. Irrational passed on making the 'quickie' sequel, BioShock 2 (instead released by 2K Marin, themselves rendered defunct last year by Take-Two), to focus on a more ambitious project, BioShock Infinite. This game was repeatedly delayed and was not released until early 2013. Irrational focused on narrative and story-driven games with strong, recognisable characters and offbeat atmospheres not quite like anything else out there. Their loss from the gaming world is regrettable. HarperCollins Voyager have unveiled new cover art for the Song of Ice and Fire novels by George R.R. Martin. The new books emphasise landforms and geography, unlike the previous covers which featured military and medieval iconography. They're striking, but to my mind don't quite capture the feel of the series. 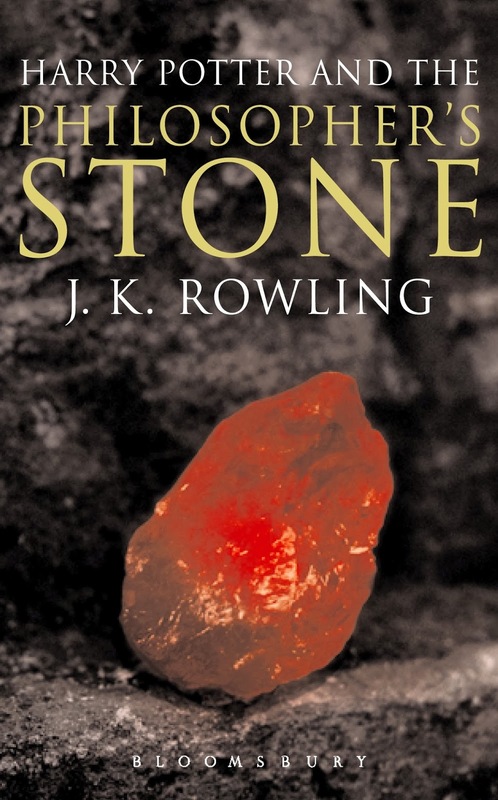 In particular, A Clash of Kings featuring (presumably) the Red Waste on the cover is a little odd given that only one chapter takes place there. It's also mildly disappointing that Voyager still haven't recombined A Storm of Swords and A Dance with Dragons into a single paperback volume each, given how many larger or comparable novels out there are available in one paperback volume (The Wise Man's Fear, The Naked God, Atlas Shrugged, The Lord of the Rings, Diana Gabaldon's novels etc). I'm also hoping that the Game of Thrones tie-in note are stickers and not part of the cover, as they are rather incongruous. The current paperback set rather subtly and elegantly notes the GoT reference in a small section on the back cover, which is a better idea. The new covers will be available alongside the previous ones and will not replace them outright. 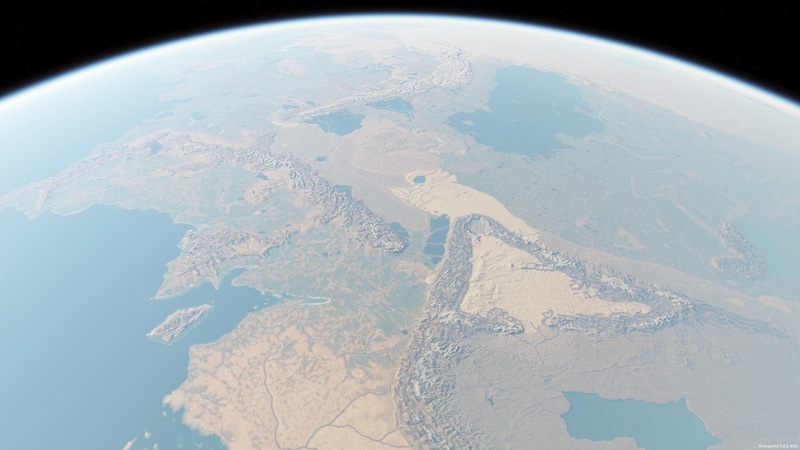 The fan community for Outerra - a graphics engine capable of rendering high-quality terrain images from relatively sparse data - has recreated Tolkien's Middle-earth using the software. This has resulted in some stunning and impressive views, especially considering this is only an alpha version. This could be the next big thing for fantasy cartography. Westeros or Faerun next? GoG have started a Valentine's weekend giveaway. Until Sunday, you can get the original Dungeon Keeper and its expansion pack, The Deeper Dungeons, absolutely free. All you need is a GoG account, which takes just a few seconds to set up if you haven't already got on. You can also get Dungeon Keeper 2 at 75% off its normal (very low) price, which currently works out $1.49 (so, not free but almost). 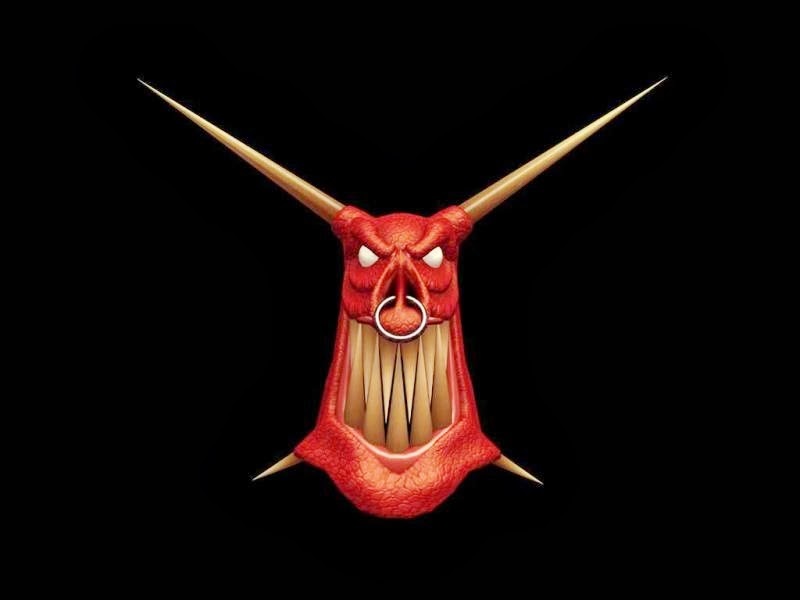 Dungeon Keeper was originally released in 1997 by the legendary Bullfrog Studios, the same company behind classics such as Populous, Powermonger, Margic Carpet, Theme Hospital and Syndicate. It's a dungeon management game where you play the dungeon keeper, digging out new rooms, giving homes to monsters and setting up puzzles and traps to defeat the invading heroes. It's still one of the (relatively) few games where you play the bad guy. Dungeon Keeper 2, released in 1999, retained much of the same classic gameplay but moved the series into full 3D graphics. Both games were originally released for Windows 95, but GoG have tweaked them both to work - relatively - stress-free on modern systems. They are both absolutely brilliant, so frankly going to get them for nothing (or almost) is a no-brainer. Electronic Arts recently caused huge controversy by releasing a mobile/F2P version of Dungeon Keeper for tablets and phones that was absolutely terrible, forcing the player to spend significant amounts of real-world cash to progress anywhere. GoG's move means that people can instead sample the original, superb games for nothing (or almost). Paul Kearney has two new novels in the pipeline. First up is Umbra Sumus, a Warhammer 40,000 novel about Space Marines, which is a stand-alone right now but has sequel potential. 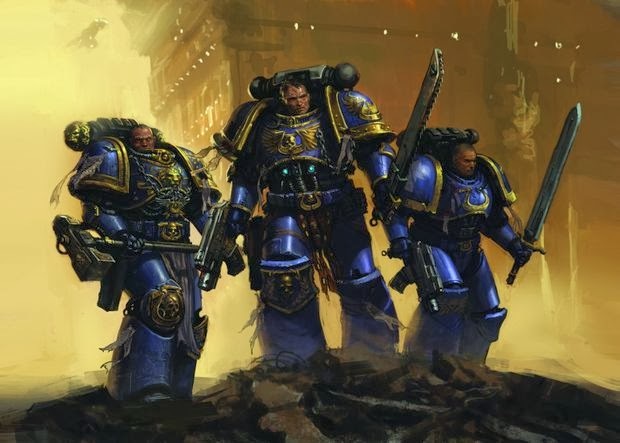 The novel features a new chapter of Space Marines and is tentatively planned for publication by the Black Library at the end of 2014 or start of 2015. The Wolf in the Attic will be published in Autumn 2015. Paul talks about the process that led to the writing of the new novel here, and discusses his recent backlist reissues and Umbra Sumus here. Canadian actor Campbell Lane passed away on 30 January at the age of 79. SFF fans may not recognise the name, but they'll be familiar with some of his work. Homeworld's classic opening cinematic, narrated by Campbell Lane. Lane is best-known as the narrator of the Homeworld series of games. He also played the voice of the Bentusi species and appeared in all three games released to date (Homeworld, Homeworld: Cataclysm and Homeworld 2). Fans were hoping he would return for the upcoming prequel, Homeworld: Shipbreakers but clearly this will not now happen. Lane's other genre credits include playing the First Hybrid in the Battlestar Galactica TV movie Razor and playing the voice of Rampage on the Transformers: Beast Wars animated series. He played three different roles on The X-Files (including the recurring role of the Committee Chairman) and also appeared on First Wave. Campbell Lane as the First Hybrid on BSG. He was the go-to actor for distinctive and foreboding voice-overs. His other voice work included playing the English-language narrator for Gundam Wing, Mastermind on X-Men: Evolution and Skeletor on The New Adventures of He-Man. Lane had a highly distinctive, gravelly voice which was immediately recognisable. An accomplished voice actor, his tones will be missed from Homeworld: Shipbreaker and other potential projects. In a world made of Lego bricks, Emmet Brickowski is an ordinary engineer. He is content with his strictly regimented life, brushing his teeth, going to work, listening to music and eating all on a set schedule. He builds things according to the instructions and has never had an original thought in his head...apart from a secret desire to build a double-decker sofa. Brickowski is thus shocked to discover the Piece of Resistance, an enigmatic device that is the only thing that can stop 'The Kragle', a superweapon controlled by Lord Business. This discovery was prophesied, marking Brickowski out to be 'The Special', a hero figure. But when it becomes clear that Emmet has no imagination or ability to build things without instructions, his allies must rally round and help him achieve his destiny. The Lego Movie is, wait for it, a movie based on Lego, the Danish construction toy which is probably the single most popular toy line ever created. Lego can be used for many things, but one of the things it lacks is a narrative, with modern Lego sets often being based on pre-existing popular franchises. Cleverly, the film takes this idea and runs with it as its central theme. 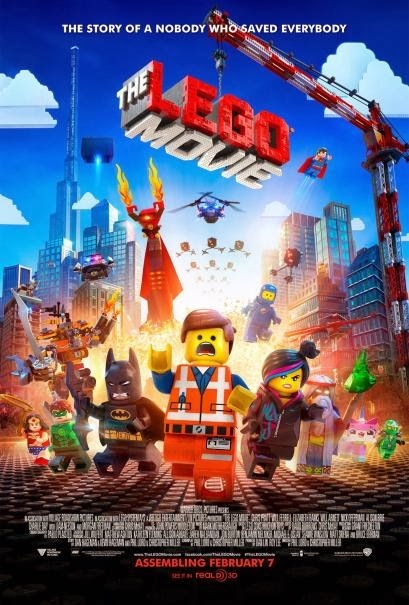 The Lego Movie is a story about the struggle between order, pre-planning and logic (exemplified by the instructions and themed Lego sets) and chaos, creative freedom and throwing things together to see what happens (exemplified by putting things together randomly to see what you get). This is a bit of a bold choice as it seems to be saying that if you're offered the choice between a £300 Star Wars-themed set which requires you to vigorously follow the instructions and a cheap, random assortment of bricks you can make anything out of, you should go for the latter every time, something Lego accountants might not be too happy with. This theme is then developed into the idea that creative freedom is better than following orthodoxy and that everyone who manages to create something interesting and make their own choices is 'special'. It's fairly straightforward and simple as themes go, but it is used and explored in unusual depth. The film is well-characterised with some fine vocal performances. The casting is fairly geek-tastic, mixing big names (Morgan Freeman, Liam Neeson, Will Ferrell, Elizabeth Banks) and TV comedy stars (Chris Pratt from Parks and Recreation, Alison Brie from Community, Will Arnett from Arrested Development, Charlie Day from It's Always Sunny in Philadelphia). Relatively big names like Channing Tatum and, randomly, Shaquille O'Neal also make cameo appearances. The characters are a mix of newcomers, like Emmet (Pratt) and Wyldstyle (Banks), and crossover characters from Lego's vast array of licences. Batman (Arnett) is the most prominent such character, though we also get brief appearances from the likes of Superman (Tatum), Gandalf and Dumbledore. The big-name characters mostly appear for comical purposes (Dumbledore and Gandalf getting into an old wise man beard-off argument; Superman trying desperately to avoid hanging out with a fanboying Green Lantern) and a few make 'shocking', audience-pleasing surprise twist appearances, at least one of which brought the house down. The vocal performances are all accomplished and do a good job of selling the characters. The animation is pretty good, especially as it deliberately dials back shiny CGI in favour of a more 'used' aesthetic that makes all of the Lego pieces used in the film look like they've been taken out of someone's box, mixed up and then constructed. In many places the animation looks like stop motion rather than the CGI it really is. The animation is inventive and the film-makers strike a good balance between making things fast-moving and fun and going for sensory overload. The story is also surprisingly decent, mainly because the directors are not interested in making a simple movie that follows a cliched coming of age storyline. Instead the film attempts to deconstruct the Hero's Journey by casting doubt on the whole idea of 'the chosen one' and suggesting that violence and explosions aren't the answer to everything (although, cheesily, there's still quite a lot of Lego-ified violence and brick-based explosions in the film in a good example of having your cake and eating it). 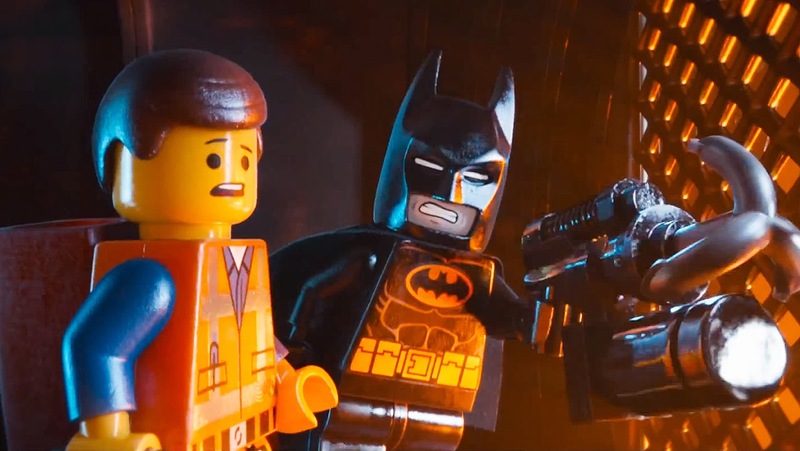 Most animated kids' films these days include some sort of sop to the adult audience, whether it's risque jokes that fly over the kids' heads or amusingly ironic vocal performances, but The Lego Movie takes things a whole step further by trying to simultaneously play around with and undercut the cliches and tropes of modern CG kids' movies whilst also crafting a film that kids will enjoy. They more or less pull this off, though there's a few moments towards the ending (including one 2001: A Space Odyssey-esque moment that I suspect will be very divisive; the kids I saw the film with seemed to hate it and couldn't wait for the film to return to its previous mode, which fortunately it does) when the movie's preoccupation with not being a predictable kid's film risks it instead flying up its own posterior. It does manage to - just about - avoid that, helped by some very funny final moments (and the last line and 'cliffhanger ending' are superb) and a resolution that is both original and spectacular. Unfortunately, the writers' creative angst is detectable on screen and as a result the films suffers from pacing and character issues which prevent it from going toe-to-toe with, say, Pixar's big hitters (films like Up and Wall-E are far more consistent in quality and have vastly more emotional depth to them). Predictably, the film's female characters have a couple of moments in the sun and are then sidelined for the rest of the movie whilst the boys get on with resolving everything (reflecting gender issues with Lego toys in general). The film's worldbuilding is also inconsistent: at various moments the characters seem able to build anything out of anything in seconds to solve problems, but at others are utterly stumped at what to do next, despite being still presumably able to construct a jet fighter out of some rocks and a couple of street lights. Ultimately, The Lego Movie (****) is brash, fun and tries to be more than just another commercial to sell toys. Indeed, in some respects it is wickedly subversive in doing the exact opposite of what you'd expect a toy tie-in film to do. There's also some real narrative ambition here. There's some great moments of character, some good laughs and a lot of visual invention. But the film also overreaches, and denies itself from achieving true greatness by occasionally tying itself in knots in trying to be both an entertaining kid's movie and a revisionist mickey-take of kids' movies to keep the adults awake. Certainly enjoyable and well worth watching for its ambition, The Lego Movie is on general release now. The Royal Union has bound the nations of the Vispasian continent together for more than two centuries, with the ultranational police force known as the Sun Chamber being essential for enforcing peace between the kingdoms. Lucan Drakenfeld, an officer of the Sun Chamber, is recalled to his home city of Tryum by the death of his father. However, whilst setting his father's affairs in order, Drakenfeld becomes embroiled in politics and murder. There are forces in Tryum that would see it reach out and become the great empire it used to be, forces that would kill to make that happen...and other forces who would kill to ensure it doesn't. 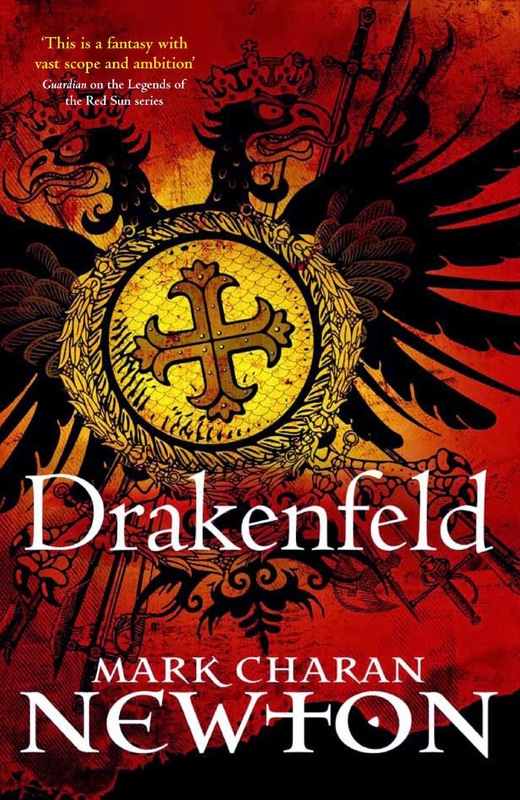 Drakenfeld is Mark Charan Newton's sixth novel and the first in a new series set in a fantasised Rome (sort of) featuring Lucan Drakenfeld as a private detective (or the equivalent thereof). Drakenfeld is an enlightened man living in unenlightened times, a man who believes in the Union but has to deal with the nationalistic forces that threaten to tear it apart. In this novel, Newton is doing several things. First of all, he's telling a fairly compelling murder mystery. 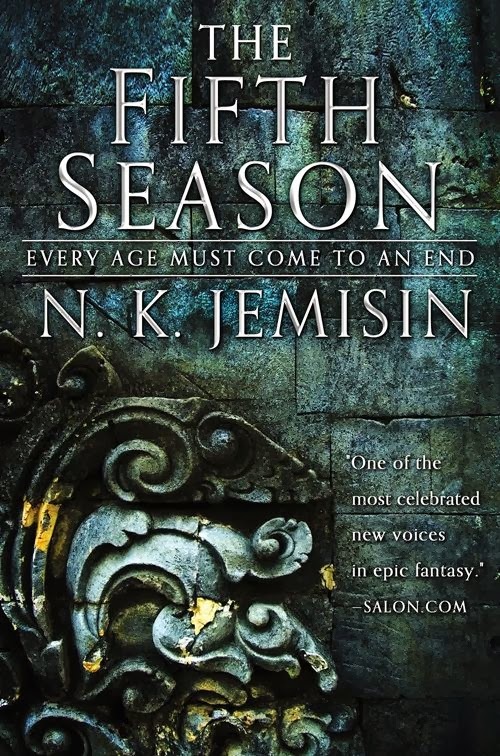 Secondly, he's using the novel to comment on the state of epic fantasy and its conservative tendencies. A large number of interesting issues come into this, such as the fear of the people of Tryum towards 'the other' (Drakenfeld's assistant is a dark-skinned woman from a far distant nation) and kneejerk nationalism overriding the wider common good. There aren't lazy correlations with real-life events, but there's certainly some food for thought going on under the fairly straightforward surface. In terms of character, Drakenfeld makes for a likable protagonist but not the most dynamic one. Drakenfeld is a good man, trusting (but not too much), loyal, dedicated and so on. He's also a little bit boring due to his earnest reasonableness with no apparent foibles. His sidekick, Leana, and redoubtable friend, the amable-but-prejudiced Veron, are both far more interesting but the strict, first-person POV means we don't get to know them very well. In terms of writing, Newton knows how to tell a good story and does it quite well. However, the book suffers from an abrupt shift in gears and pacing towards the end of the novel that the writing never really pulls off. Suddenly what was an intriguing, well-played murder mystery turns into a full-on epic fantasy complete with marching armies, sieges and clandestine night assaults. This shift in gears is so jarring you may drop the book, and never really makes much sense. The worldbuilding is also flawed: the superb evocation of the faux-Roman atmosphere of Tryum and its people is let down by the later revelation that the 'continent' of Vispasia is actually only marginally bigger than Italy itself (oddly, given the variety of landforms mentioned in the descriptions of the various nations) and armies can be summoned, assembled, armed, equipped and sent into battle at just a moment's notice. This conclusion saps a lot of believability from the narrative, and I was left wishing for a novel much more focused on the murder and perhaps on the political intrigue. The military stuff fails to convince, but at least it does upset the status quo and leaves Drakenfeld in a very interest place for the sequels. Drakenfeld (***½) is, for most of its length, a compelling murder mystery novel with some great atmosphere and writing which abruptly shifts gears in the final chapters and fails to pull it off. However, it does a great job of establishing the character of Drakenfeld and the world of the Vispasian Union and certainly leaves the reader wanting to know more about his adventures. The novel is available in the UK and USA now. It's the coldest Christmas Eve in the history of Gotham City, with residents taking cover from a furious snowfall. Criminal gangs take advantage of the empty streets to settle old scores and pull off robberies and heists, none more virulently than the gang led by Black Mask. Batman, only a couple of years into his crime-fighting double-life, takes up the fight against Black Mask but learns that there are eight deadly assassins on his trail and a chaotic new villain has also emerged, known only as 'The Joker'. 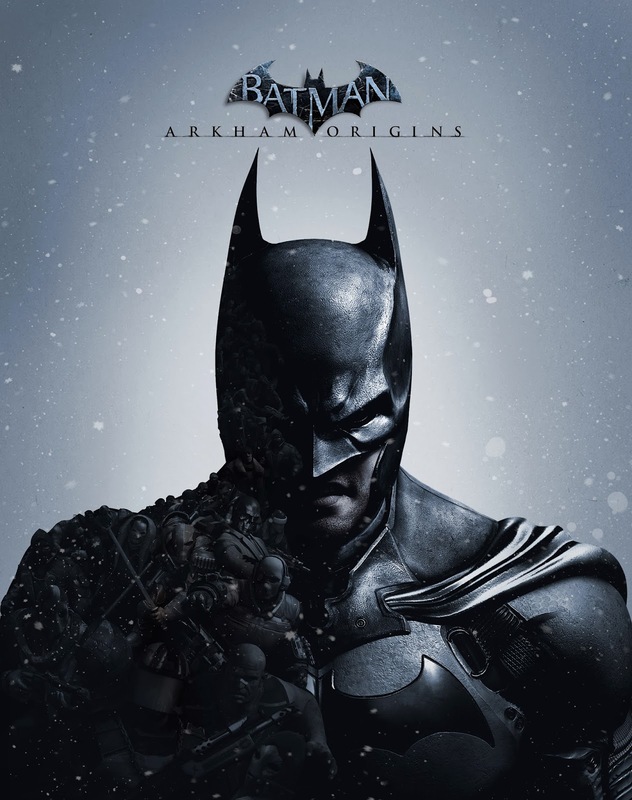 Arkham Origins is the third game in the Arkham series of Batman games and acts as a prequel to Arkham Asylum and Arkham City. Like Arkham City, it depicts a large section of Gotham City and allows the player to free-roam through it, either pursuing the main storyline or undertaking optional side-missions. 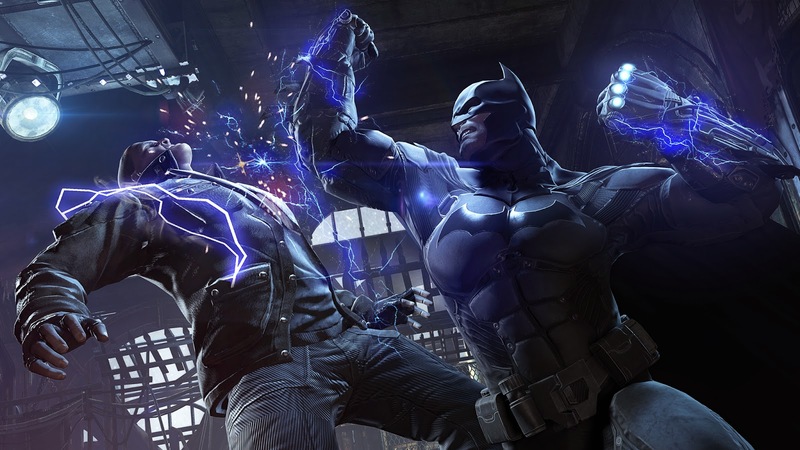 The game is heavily focused on combat, with Batman having to defeat (but not kill, due to his ethos) hundreds of henchman and criminals as well as several major enemies to progress. The game also emphasises Batman's use of gadgets to overcome obstacles, such as using a crypto-graphic sequencer to hack locks and computers or a glue grenade to block up gas vents. Finally, the game allows Batman to use his detective skills by investigating crime scenes and piecing together sequences of events from clues. If you played and enjoyed the previous two Arkham games, Batman Origins offers a lot more of the same. Combat is mostly the same, aside from boss fights which are now more dynamic and feature more epic moments and mid-fight dialogue exchanges to make them more interesting. Investigating crime scenes is now a lot more fun, as Batman has more clues to analyse at each crime scene and as he pieces things together the player can rewind or fast-forwards through events to get a clearer idea of what happened and where more evidence might be found. These two additions to the game help differentiate it from its predecessors, but over the course of the 20+ hour game they're not really enough to overcome the feeling that you've seen it all before. Arguably Arkham Origins's biggest failing is that it is unsuccessful in working as a prequel. Aside from showing the first meeting of Batman and the Joker and Batman and future-Commissioner Gordon, and a cameo by pre-crazy Harley Quinn, not very much play is made of the fact that this story is set earlier than the previous two games at all. It's not even an origin story, with Batman already having been fighting crime for several years. The fact that a lot of the bad guys still think that Batman is a myth means that Black Mask's decision to offer a $50 million reward for Batman's head strains credulity as well. Where the story really falls apart is its lack of coherence. We start off with Black Mask sending eight assassins after Batman, but several of them are defeated so out-of-hand that they're completely unmemorable. The rest simply act as recurring boss fights through the game. Then, like an episode of The Simpsons, the initial set-up is forgotten quite quickly as the threat of the Joker moves to the fore, but even that gets shunted aside in favour of a showdown between Batman and Bane. Given Bane's status as one of Batman's most genuinely threatening foes due to his role in the Knightfall saga, it's a bit disappointing that Bane ends up being overused in the Arkham trilogy to the point of just turning into another disposable boss. There are moments where Arkham Origins flirts with the superior, focused storytelling of the previous two games. A sequence where the Joker realises that he and Batman are two sides of the same coin (during a psychiatric evaluation by Quinn) is extremely well-handled and dips into the Joker's lunacy without going overboard. There's a running tension between Batman and Alfred about why Batman does what he does that occasionally sparks into life, and another between Gordon and his daughter. But every time the narrative threatens to come to life it soon fizzles out in another succession of fistfights and fairly straightforward puzzles. Still, the Arkham trilogy's hallmark has always been the physical, visceral combat and that remains engaging, as do the set-pieces where Batman has to take down a room of heavily-armed enemies through stealth, setting traps and hiding in ventilation shafts. Arkham Origins's length - the game clocks in at slightly more than Arkham City's and more than twice the length of Arkham Asylum - does make this a little repetitive and wearing after a while. The Arkham formula is highly compelling, but Origins does threaten to drag it out past its sell-by date. Where Arkham Origins really suffers is the amount of bugs that still litter the game even after multiple patches. Sometimes doors refuse to open until you reload. Sometimes villains and Batman lose the ability to fight and just wander around each other. Sometimes the ability to interrogate enemies after a fight just vanishes until you reload. Opening a door before you're supposed to can result in Batman falling into a bottomless abyss off the side of a level. Attack warnings sometimes fail to appear, and hitting the counter button at the right time has no effect. Most frustrating, during room-takedown set-pieces, the game will not give you the opportunity to swing to another ledge for several seconds rather than instantly as it should. In isolation some of these bugs can be borne, but combined they make playing the game more frustrating than it really should. Batman: Arkham Origins (***) is the weakest game in the Arkham trilogy, although if you really enjoyed the gameplay of the first two it will suffice. It's certainly entertaining and fun to play, but is littered with more bugs than any modern AAA release should have and the writing is extremely uneven. Recommended, but just beware that what was incredibly fresh in Arkham Asylum has now become a little on the stale side. The game is available now in the UK (PC, PlayStation 3, X-Box 360, Wii U) and USA (PC, PlayStation 3, X-Box 360, Wii U). The Department of Social Affairs and Citizenship (DoSAC) is a key government body with wide-ranging responsibilities on a number of different issues. However, the minister in charge of the department is constrained, bewildered and kept on the hop by a prime minister who can't go five minutes without changing his mind and by a variety of mishaps. Luckily, the party's chief spin-doctor Malcolm Tucker is on hand to keep them on-track with a barrage of swearing and formidable powers of media manipulation. The Thick of It is a British drama-comedy that aired for four seasons and two hour-long specials, irregularly scheduled between 2005 and 2012. It was created by political satirist and comedian Armando Iannucci and has a constantly-evolving cast and scope. 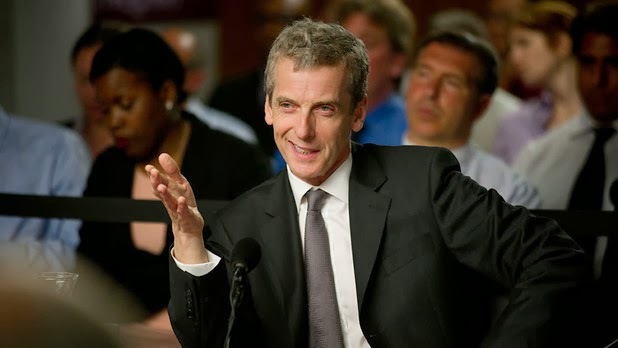 The first two seasons (of just three episodes each) are tightly focused on DoSAC minister Hugh Abbot (Chris Langham), his advisors Ollie Reeder (Chris Addison) and Glen Cullen (James Smith), his director of communications Terri Coverley (Joanna Scanlan) and, of course, the formidable Malcolm Tucker (a masterful performance by Peter Capaldi). The success of the early episodes opened up the scale of the show and more castmembers were added, including the shadow DoSAC department run by the opposition party and led by Peter Mannion (Roger Allam). Langham's departure under controversial, off-screen circumstances led to his replacement by Nicola Murray (Rebecca Front), a backbencher so obscure that even the detail-oriented Tucker doesn't know who she is. The Thick of It is filmed with handheld cameras to give a semi-documentary, urgent feel to events and much of the dialogue is improvised to help with this feeling, although there is a script which acts a guide. The show makes a point of never saying which party which character works for, although it's quite clear that the party in government in the first three seasons is Labour and the coalition in the final season is between the Tories and Liberal Democrats. Notably, the final season posits an alternate reality where David Miliband ('Daniel Miller') takes over as Labour leader and is immediately regarded as a key threat by his opponents. The show is mostly comedic, with early storylines revolving around the incompetence of the minister and his staff, usually creating a PR catastrophe that Tucker has to solve through the use of clever media tactics and chewing out the team with a spectacular eruption of creative and sustained invective. This format starts to tire a little, but the show seems aware of this and changes things up, featuring episodes more revolving around political conspiracies and internal power struggles. The final season features a change of focus, with the opposition now in power and Tucker (after a monumental battle for his career in the third season) consigned to helping guide his party back into power. The show also features moments of drama and pathos, most notably revolving around Tucker's undermining in the third season and a more serious subplot in the final season about the death of a nurse and how the parties seek to cynically use it for their own ends. Most of the plaudits bestowed on The Thick of It are well-deserved. The acting is excellent from everyone, although it has to be said that both Capaldi and Roger Allam (whose compromised but well-meaning code of honour makes him the most likable character on the show, which isn't saying much) rise above the pack. The dialogue, whether scripted or improvised, is sharp and quickly-delivered and the storylines are fairly intricate. Events often spin on a single line of dialogue or an innocuous-looking phone call that backfires later on, so some attention to detail is required. If the show has a weakness, it's that the constant tone of cynicism can at times be wearying. Yes, politics is a dirty game and even the most well-meaning, idealistic young politician probably does become despairing and sarcastic about the whole thing after a few years, but the near-total absence of any sympathetic characters (particularly in the final season, when everyone really is out for themselves) feels like it's going overboard. The constant level of incompetence from the characters also feels a little unbelievable after a while, with it being implausible that these characters could keep their jobs after even one of the 'omnishambles' that takes place, let alone dozens. Veep (made by such the same team), which can be seen as an American mirror to The Thick of It, handles this rather better by showing some of the characters to be at least basically competent in their roles and the disasters not being quite as catastrophic. Still, these issues are made up for the sharp humour and extremely strong performances. The Thick of It (****½) is the strongest British political comedy since Yes, Minister and is unrelenting in its mockery of some very silly institutions that nevertheless control the country. The series is available on DVD in the UK and USA now. 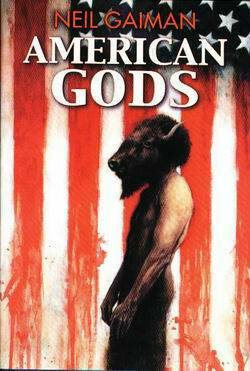 Having failed to get the American Gods TV show off the ground at HBO, Neil Gaiman has signed a development deal with Fremantle Media. Fremantle has recently gotten a number of projects off the ground, including the third version of The Tomorrow People, the American version of the French drama The Returned and a new Rob Reiner project, Basket Case. The hope must be that they will guide American Gods to a new home. The reasons for HBO passing on American Gods have not yet been given, and likely never will be. HBO were being extremely enthusiastic about the project merely weeks before they canned it, and Gaiman had developed three draft scripts for them.